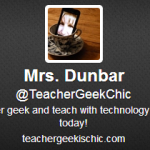 #edchats on Twitter provide great PD and Support for teachers & administrators | Teacher Geek is Chic! A great part of a Powerful Professional Learning Network (PPLN) is joining an #edchat on Twitter. If you don’t have a Twitter account, I recommend getting one and joining in the amazing conversations taking place every day about education. The official Weekly Twitter Chat Time Google Doc is the perfect place to start looking for the conversation(s) that interest you. 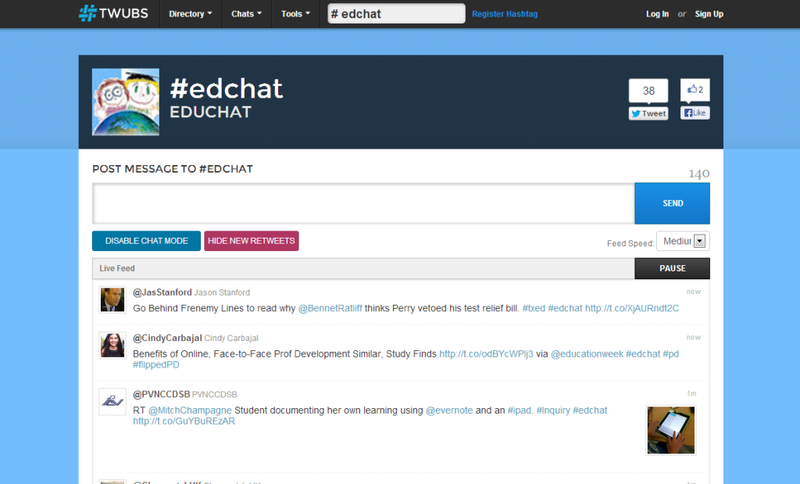 There are #edchats for various schools, conferences, states, skills & strategies. And once you start following the Twitter Users you find the most interesting and helpful, the more good stuff will start to appear in your Twitter feed. And the more good stuff you read, the more excited and motivated you get to try some new ideas. If you build a PPLN on Twitter, you’ll also have a great group of educators who will give you feedback on your ideas and brainstorm new and exciting ways to implement them. Once you are on Twitter, start searching hashtags like #edchat or #caedchat to see who’s sharing the ideas and posting the things you find most interesting. When you find Twitter Users you like, follow them. When you see an #edchatthat interests you, use Twubs.com (or some other side like it) in order to more easily follow the live feed from the conversation without any other Tweets to distract you. 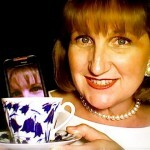 If you log into Twitter on Twubs.com, you can also join in the conversation and post your thoughts. Now you’ve got a great start on creating a powerful network for your professional learning!